Click below to read a brochure developed by the Sonoma County Food Recovery Coalition with some of the grant funding from Impact 100 Redwood Circle. The intent is to increase awareness in the commercial segment of the issue of food waste and the opportunity for food recovery. Click on this link to read how our $10,000 Community Grant to the SRJC Children’s Center has allowed them to purchase new kitchen equipment and necessary supplies for the healthy meals prepared on site. Eat out and Support Food for Thought! 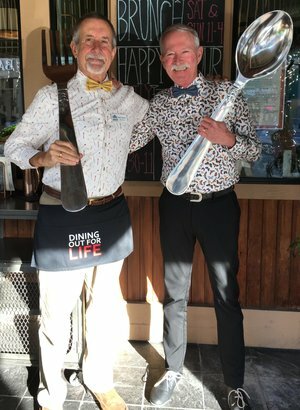 Select from 90-plus restaurants throughout Sonoma County who will donate between 25 to 50 percent of the day’s proceeds to Food For Thought. This is a wonderful opportunity to enjoy one of our amazing eateries while supporting FFT’s life-sustaining programs. Click here to see a list of participating restaurants.